Now that the Trump, May, and Macron regimes have proven beyond all doubt that they are lawless war criminal regimes, what is next? Will the Russian president and foreign minister continue to speak of “our Western partners” and seek common ground with proven lawless war criminals? What would that common ground be? How can other governments accept the US, UK, and French governments that intentionally lied about a Russian chemical attack on the Skripals and about a Syrian chemical attack on Douma, risking a third world war, and then themselves attacking Syria on the basis of a transparent lie unsupported by any evidence? How exactly do you conduct diplomatic relations with war criminals? The reason is that the world has been conditioned, like Pavlov’s dogs, to expect and accept the West’s war crimes as ordinary common features of life. The West’s crimes are protected by precedents established by decades of failing to hold the West accountable. The West has squatters rights in committing unaccountable war crimes. Stymied in the effort to overthrow Syria, Netanyahu is now focusing the Trump regime on renewing Washington’s conflict with Iran. Will Washington’s vassals continue to provide cover for Washington’s crimes, or are some of the Europeans beginning to understand that the risks they assume for Washington exceed the money that Washington pays them? Where will Russia stand if Washington renews its assault on Iran? Despite the air attacks carried out on its Syrian ally by the US, NATO, and Israel, the Russian government still has not found the decisiveness to sell Syria its S-300 air defense system. Syria intercepted 70% of the US missiles in the last attack using obsolete Soviet-era air defense systems. The S-300 would allow Syria to protect itself from air attack and thus reduce the chance of war resulting from Israeli and US attacks on Syria. Russian indecisiveness combined with the rest of the world’s toleration of ongoing US war crimes suggests that more provocations will be orchestrated, that more lawless attacks will take place, and that eventually a fatal conflict will be brewed. Think about it. The British are caught in the Skripal lie. Washington, the British, and the French are caught in the Douma chemical attack lie, and there are no consequences for those governments who orchestrated hoaxes and then used the hoaxes to justify their war crime. 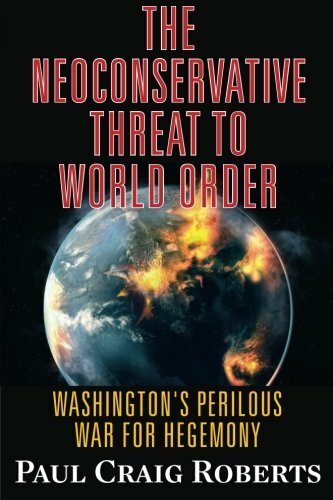 The Tyranny of Good In... Paul Craig Roberts, La... Best Price: $6.27 Buy New $5.00 (as of 08:15 EDT - Details) How can it be that the American people are undisturbed by their government’s 17 years of wars based entirely on blatant lies? How can it be that the American people and the Evangelical churches are unmoved by the millions of innocent peoples in seven countries who have been murdered, maimed, orphaned, and displaced by the profit-driven US military/security complex and by the neoconservative ideology in service to Israel? How can it be that the US media is as effective a propaganda ministry for Washington as the German press was for the Nazis? How can it be that the European, Canadian, and Australian governments and the citizens of these countries are not ashamed of their participation in these never-ending crimes? Where is India’s voice? China’s? South America’s? Why is the world silent in the face of massive, long-term, ongoing war crimes? Why does the Russian government think it can have a partnership with a war criminal regime? Why would Russia want such a shameful and demeaning association? Where is Russia’s counterpart to NATO? Where is there any determination to put a halt to the West’s criminality? Why is the world content with Washington’s path to world war? Paul Craig Roberts, a former Assistant Secretary of the US Treasury and former associate editor of the Wall Street Journal, has been reporting shocking cases of prosecutorial abuse for two decades. 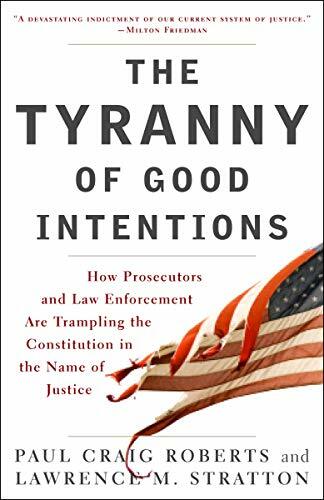 A new edition of his book, The Tyranny of Good Intentions, co-authored with Lawrence Stratton, a documented account of how americans lost the protection of law, has been released by Random House. Visit his website.